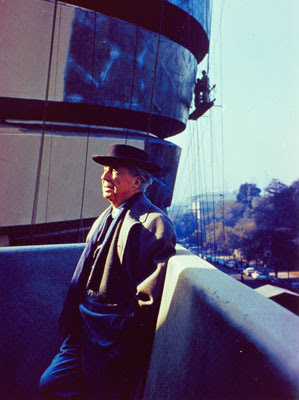 Guggenheim celebrates its 50th anniversary proper--temporarily dedicating the the museum to the creator himself-- a manifestation on the works of a Mr. Frank Lloyd Wright. I can't wait to see this exhibition this weekend! The show will expire next Sunday on August 23rd, and we highly recommend checking it out before it is no longer. We've been meaning to have a glimpse since it opened. In fact, we attempted to go during the 5th Avenue Block party a while back, but the line went around the block--a clear indication that paying for the exhibit is definitely the way to go. It's nicer to savour art, not engulf it in a mad frenzy. The short definition of "A Genius:" is not just someone who is exceptionally ahead of hers/his time, but whose works remain timeless, and that Wright's are.